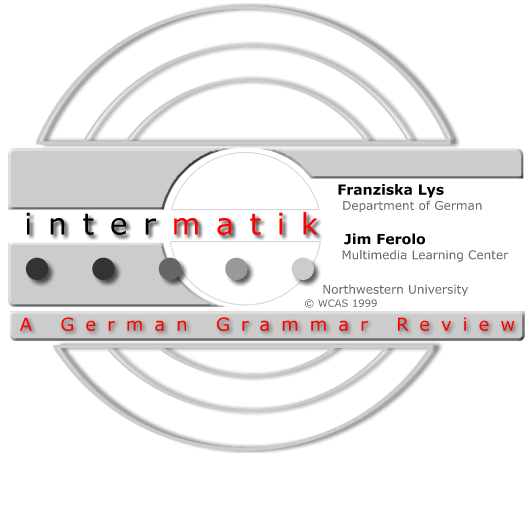 Rich in culturally informative pictures, audio, and video, Intermatik is an online web-based intermediate grammar text and workbook. Possessing the best elements of the workbook and language lab environments, Intermatik participants will have the opportunity to read, listen and compose grammatically and socially correct dialogue and writings. Intermatik currently serves a testing population of approximately eighty students. Responsible for much of the overall design and all of the content and pedagogical design was Northwestern Associate Professor Franziska Lys. Lys, in collaboration with the MMLC development team and former staffer Jim Ferolo, has made this extension of previous language efforts, Internautique and IntergalÃ¡ctico, a product that truly expands the bounds of web-based instruction.